Citation: C N Trueman "Henry VIII and government"
Henry VIII did not have the same approach to government as Henry VII had done. Henry VII was very much a person who wanted to involve himself in the day-to-day running of government – almost in fear that he would lose control of government if he was not in as much control as was possible in those days of limited communication. Henry VIII took a very different approach. He believed that government could be left to trusted men who once they knew the king’s wishes would implement them. Therefore, though Henry VIII was not overly involved in government, his men were actually carrying out his policies. Henry believed that his men were honourable and that loyalty would be their guiding star. Therefore, he did not need to involve himself in government as his trusted and loyal ministers would do it for him. Success was likely to be rewarded. Most, if not all, knew what failure meant. Henry’s ministers knew that there were only two times in the day when Henry might be available to discuss policy – around the time each day that he took Mass and after dinner. Even then, neither time could be guaranteed, especially the latter. Henry was very good at quickly understanding issues that needed to be answered. While history tends to remember his six wives and infamous temper, it tends to forget that Henry was an intelligent man though probably not as intelligent as he thought he was. He was not the “universal genius” that Erasmus called him either. 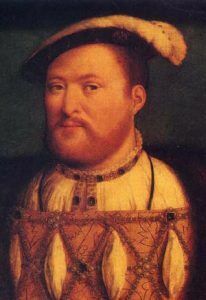 However, there is little doubt that in the early years of his reign, Henry could easily digest information when it suited his purpose to do so. Keith Randall described Henry as a “shrewd politician”. Who were Henry’s ministers in Government? Henry did appoint a number of very able ministers who have themselves made their mark on Tudor history. Cardinal Wolsey, Thomas More and Thomas Cromwell are the best known. However, the Duke of Norfolk, the man appointed to put down the Pilgrimage of Grace, was also a shrewd, if less well-known, operator. All these men knew how best to handle Henry during discussions – seeming to fully agree and support what the king had said but also ensuring that their view, if it differed substantially from the king, was well aired but in a suitably deferential manner. Henry may well have left an image of being a governmental tyrant. If he did not get his way almost immediately, those discussing issues with him were in danger of their own well-being. This may have been more accurate as he got older – there is little doubt that he came to hate anything that seemed remotely to be opposition in his final years. However, this is not true when he was a younger man. Though he did want to get his own way, Henry was always willing to participate in a decent academic argument on whatever issue was being discussed. Not only did this cement in his mind that he was an intellectual, it also gave his ministers a better opportunity to make their thoughts plain – but couched in academia. Henry was happy to base all government decisions around one belief. God had placed Henry as king in that position. Therefore everyone had to conform to what Henry wanted because if they did not, they were not only defying God’s lieutenant on Earth, but also God himself. The duty of all subjects was to honour and obey the king even if they did not agree with what he did. There was nothing uniquely English about this as the same would have been thought in Spain, France and the Holy Roman Empire. To many, the law was the king’s law and he was above it and not controlled by it. Therefore, government decisions to an extent took on the aura of being infallible as they came from a man appointed by God to act on His behalf on Earth who was above the law. If government decisions were flawed it was only in the way they were carried out – which was the failing of others as opposed to the king. There were many who fully supported this view as it spared the country from the one thing that many feared – anarchy. If the country descended into anarchy because the normal order of life was challenged, many would suffer. Therefore, the bulk of the population in England supported the way things were done as the alternate was too much to contemplate. Thousands of men were landlords and they expected rents to be paid, for example. The policies of Henry ensured that the order of the day was maintained – and this suited the vast bulk of the population. A logical extension of this was the change in the definition of high treason in the 1530’s. This was refined so that any criticism of the king, be it in writing or verbal, was deemed high treason. The punishment alone for this would have been enough to quieten most people.